As all of my predecessors told me it would, my President’s year is racing by. We are already into 2019 with all the challenges that the year will bring, although rest assured I do not intend to make any comment on Brexit here! 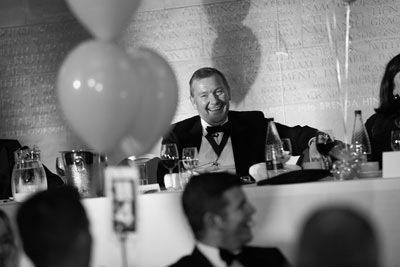 One of the highlights of the year to date was the Northern Society Business and Awards Dinner. Thanks to all who supported and I do hope everyone enjoyed the evening. Presenting the awards to prize-winning students at the dinner was a particular pleasure for me. Congratulations to the successful students. (You can read more about the Northern Society awards winners). 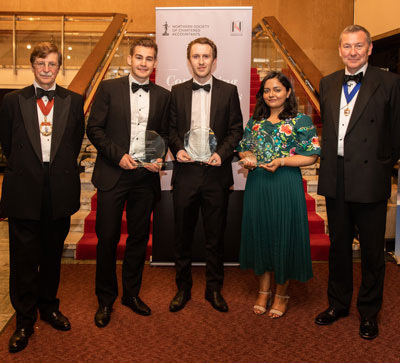 Judging was no easy task and I would encourage firms to continue to nominate their students to ensure that the judges have their work cut out once again this year! Back in September last year Keith Proudfoot and I attended the District Society Office Holders Conference. (DSOH). Among other things we discussed BASE and Student Society funding. Both of these have raised some concern regarding the potential impact in our region and I have asked that both are back on the agenda at the February 2019 DSOH. I feel that BASE in particular is becoming more centralised which, in my view, in the longer term could lead to less engagement with the next generation of ICAEW Chartered Accountants. 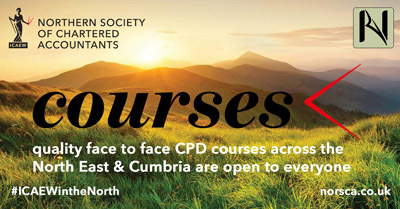 I would like to conclude my remarks with a couple of “plugs” – firstly for our Northern Society CPD Courses Programme. In October last year the “2019 Essentials CPD” brochure was circulated by the Institute with details of courses being run in our region by ICAEW. My introduction to this programme – included in the ICAEW brochure – caused some confusion so I would now like to set the record straight. 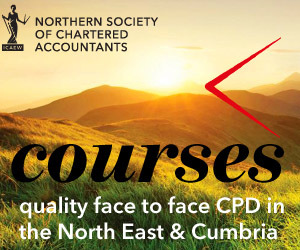 These new ICAEW courses are of course run alongside and complementary to our own excellent Northern Society courses and once again our 2019 programme of CPD courses will ensure that you are kept up to date. Check out the full programme at norsca.co.uk/events where you will find all of the Tyne & Wear and Cumberland courses. My second “plug” is for our branch committees. All three branches, Tyne & Wear, Teesside and Cumberland do great work in arranging events and courses for members in their areas. As you will read on page 5 all three committees are looking for new members to bring fresh ideas and so I encourage anyone who would like to be involved to be in touch. Please contact me or any of the three branch Chairs. May I wish you and your families a happy, healthy and prosperous 2019.